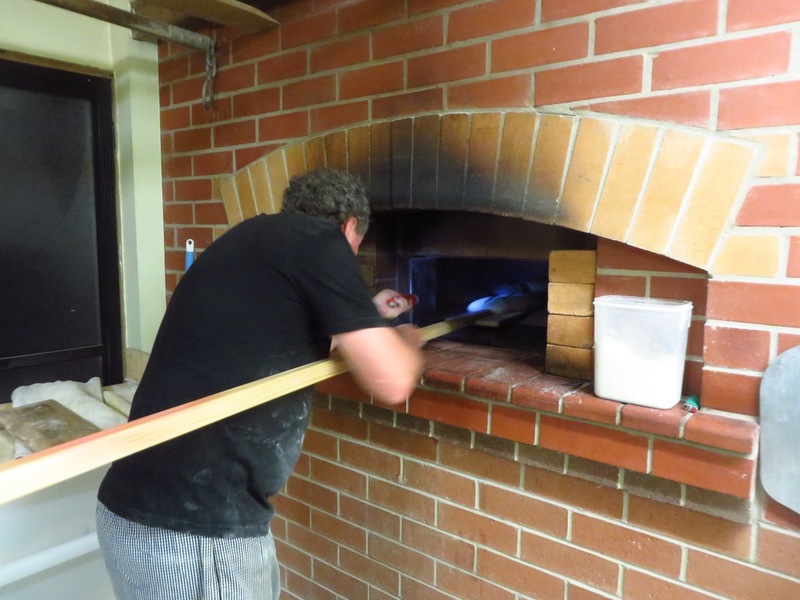 24 hours before we make the final dough, the oven is loaded with wood and lit. That same night we make the Leaven (or first dough) which is made from our starter culture, flour and water. By the next morning the fire has burnt down to a bed of coals. The oven temperature has gone from 100 degrees to about 450 degrees. This temperature will slowly even out across the oven to about 300 degrees when we bake. 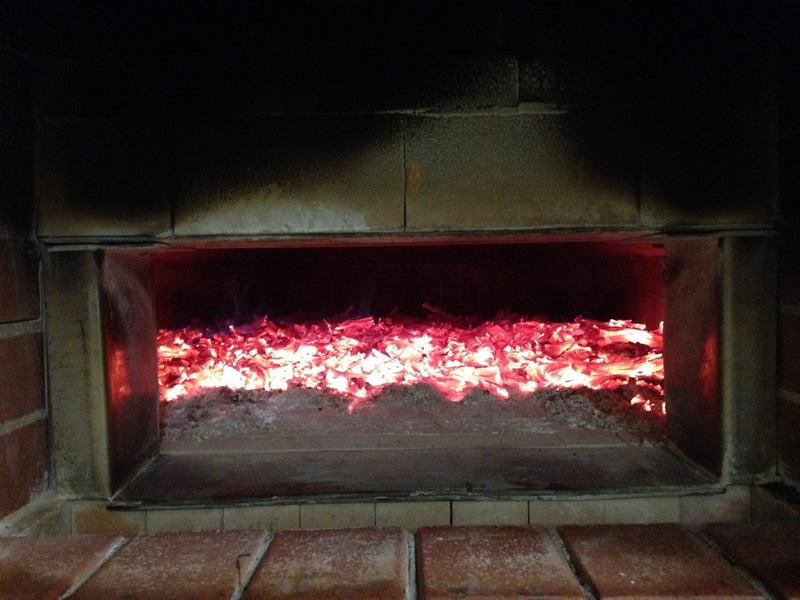 The coals will reduce to ash, be swept out and the oven will be mopped out leaving a clean, hot brick hearth. In the afternoon the final doughs are made using the mixer. The mixer combines ingredients and we use bulk fermentation to develop the gluten. 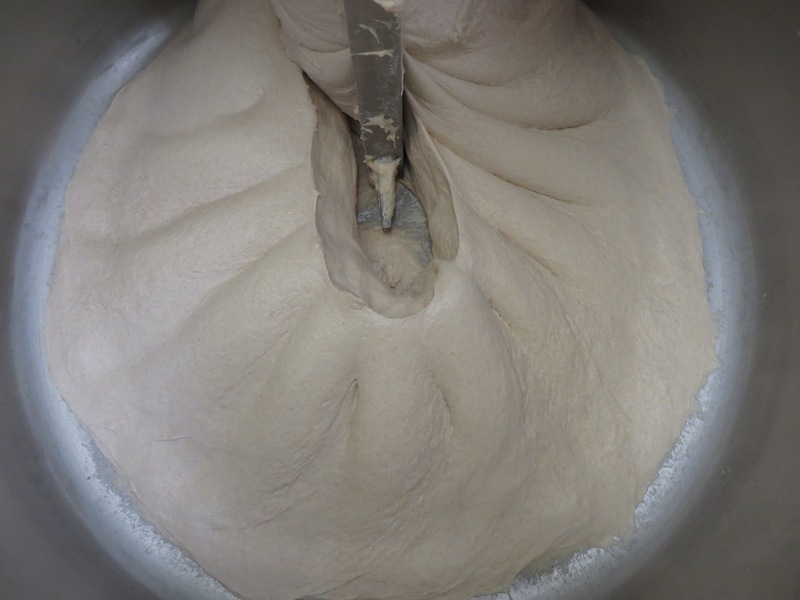 The doughs are folded during this fermentation which adds strength and elasticity to the doughs. 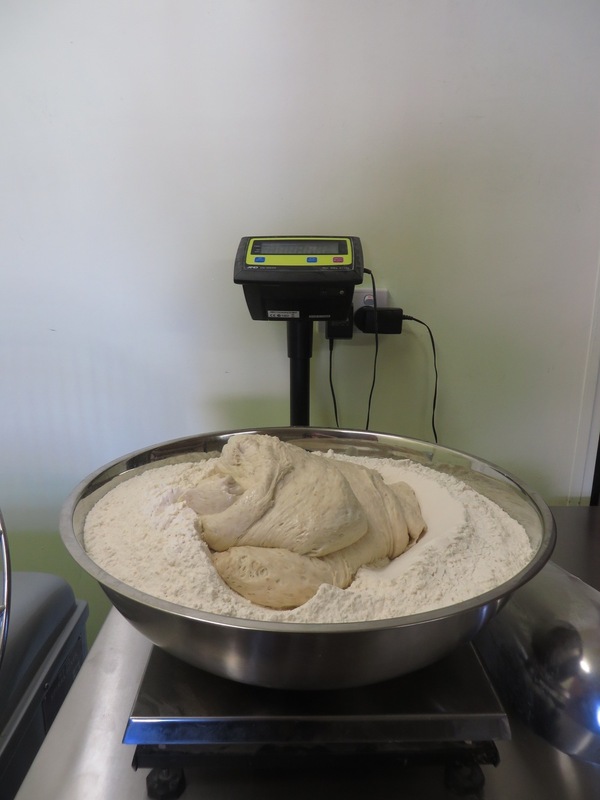 After four hours proofing, the individual loaves are weighed off by hand using a balance scale. Where possible we have tried to reduce mechanisation in our baking process. This allows time and time honoured methods to drive our bake. 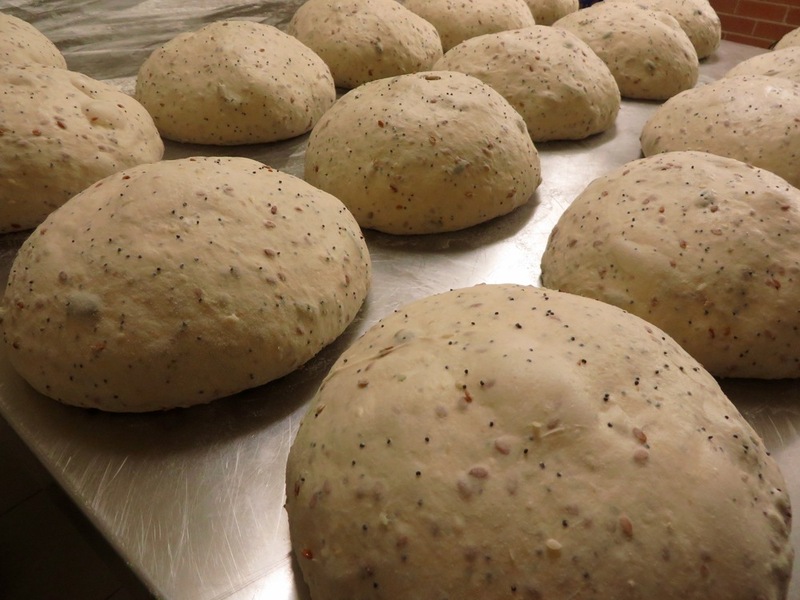 The weighed off doughs are pre-shaped and allowed to rest. Each rest allows the gluten to be strengthened and then relaxed before the next step. 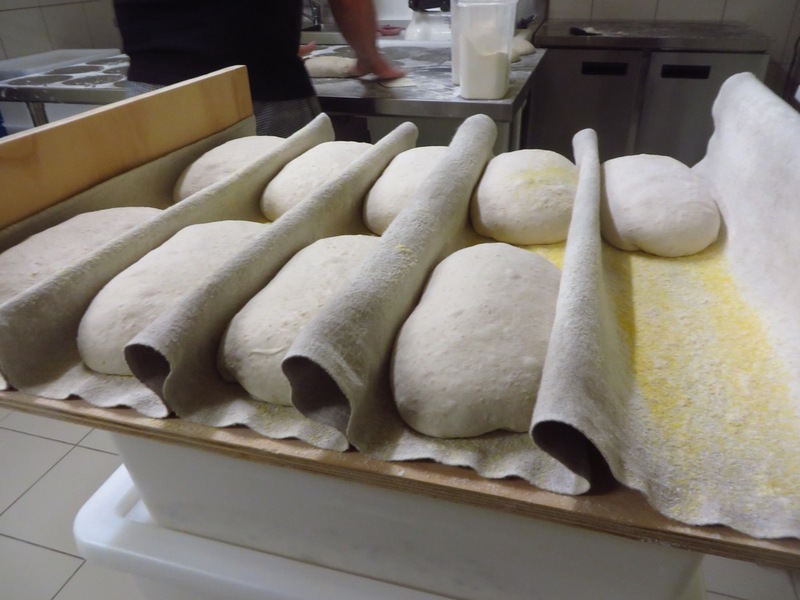 The doughs are then given a final shape and placed in linen couching cloth to rest for another two hours. The loaves are then loaded onto the wooden peel, slashed and loaded into the oven. The Bread bakes for around 40 minutes in the oven. The impression of these hearth bricks is often visible on the bottom of the loaves. The oven is unloaded using the peel. The bread is then allowed to cool. The bake usually takes between 12 - 14 hours from the time the first doughs are made to the time the last loaf comes out of the oven. As a micro bakery, a single pair of hands is involved every step along the way. The baker that starts the bake finishes the bake.